I read this to be very interesting, thought it might be something for you. The article is called Paint the Town Red – Snow Stroll – Saturday, February 10, 2018 and is located at http://www.aproperbakery.com/paint-the-town-red-snow-stroll-2018/. COST & SIGN UP: $10.00 per person, payable with reservation. Call Kennebunk Land Trust at (207) 985-8734 for reservations. The Kennebunk Land Trust is hosting a naturalist walk on Saturday, Feb. 10 at Mousam River Wildlife Sanctuary. The 38-acre preserve has over 2,400 feet of frontage along the Mousam River. The trails can be described as easy to moderate in terms of level of difficulty. This guided walk is a snow or shine event. Please wear appropriate clothing and footwear. 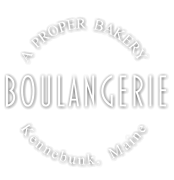 The walk will end at about 11 a.m. with a stroll over to Boulangerie for a treat and a hot drink. The cost of this event is $10 per person. Call the KLT Office at 207-985-8734 or visit www.kennebunklandtrust.org for more details. Directions to Mousam River Wildlife Sanctuary: From Route 1 in Kennebunk, turn onto Water Street. The entrance to the Sanctuary is on the left just before the Kennebunk Treatment Plant. Please park along the side of the road on Water Street.